On the last weekend of ‘True Colours’ at Newport Street Gallery, the artists Helen Beard and Boo Saville will lead a tour of the exhibition. The event is free, however booking is essential. 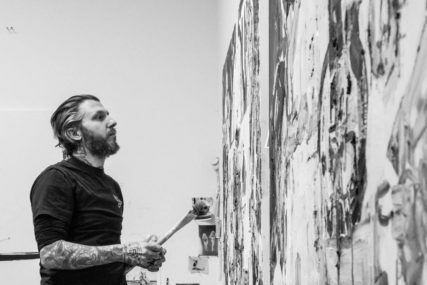 Newport Street Gallery will present ‘Parasites’ a solo exhibition by Berlin-based artist Martin Eder (b.1968, Augsburg), featuring major new paintings alongside work spanning over a decade of the artist’s career. 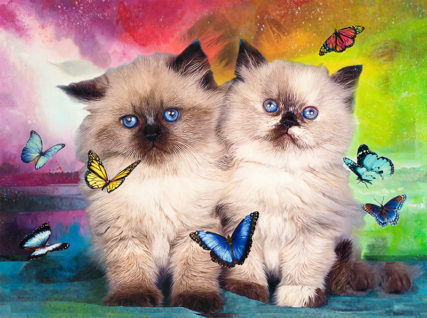 Eder’s paintings examine beauty and ugliness, depicting kittens and wide-eyed puppies alongside uncompromising nudes and more sinister and surreal encounters. Featuring over forty works, the exhibition will take place from 26 September to 13 January and is Eder’s largest solo show to date. 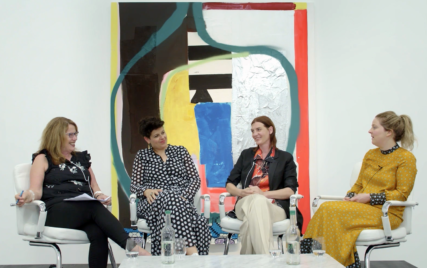 Video of the event which happened at Newport Street gallery on 12 June 2018. On the occasion of Art Night 2018, artists Helen Beard, Sadie Laska and Boo Saville have selected some music inspired by Newport Street Gallery’s current exhibition, ‘True Colours.’ DJs including Boo Saville played in Pharmacy 2 restaurant and selected playlists by the artists played throughout the galleries. A night of music curated by exhibiting artists Helen Beard, Sadie Laska and Boo Saville, inspired by Newport Street Gallery’s current exhibition, ‘True Colours.’ DJs including Boo Saville will play in Pharmacy 2 restaurant from 7pm –12am and selected playlists by the artists will play throughout the galleries. ‘True Colours’, on view until 9 September, brings together three emerging artists that, despite using paint in very different ways, all share an interest in exploring the possibilities of colour. 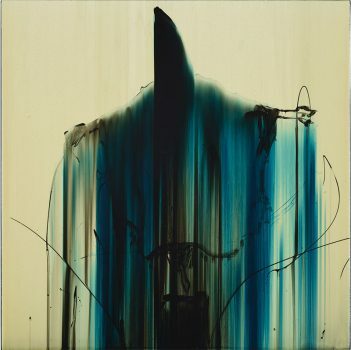 On the occasion of the exhibition, ‘True Colours’ at Newport Street Gallery, artists Helen Beard, Sadie Laska and Boo Saville will be in conversation with Sue Hubbard: art critic, novelist, poet, lecturer, broadcaster and contributor to The Independent, The New Statesman, Elephant and Artlyst among others. 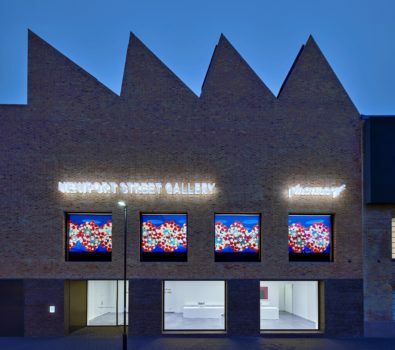 Newport Street Gallery will be open after hours, from 6—9pm on 16 May on the occasion of the Museums at Night festival. Rachel Howard will be conducting a tour of her exhibition, ‘Repetition is Truth – Via Dolorosa’, at 7pm. This will be followed by a tour of John Copeland’s exhibition, ‘Your Heaven Looks Just Like My Hell’, by Robyn Katkhuda, Head of Exhibitions. Pharmacy 2 restaurant will also be open until 9pm. The restaurant accepts reservations until 8.30pm. Video of the event which happened at Newport Street gallery on 24 May 2018. 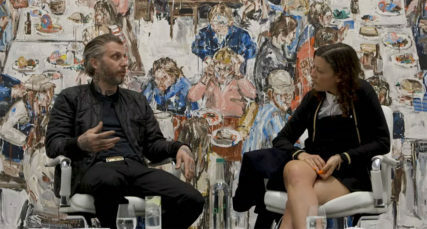 On the occasion of ‘Repetition is Truth – Via Dolorosa’ , artist Rachel Howard talks with John Wilson, a British journalist and broadcaster, one of the regular presenters of Front Row, the Radio 4 arts programme and has written about art and cultural issues for publications including The Observer and The Art Newspaper. Newport Street Gallery is pleased to present ‘True Colours’, an exhibition of paintings by three artists: Helen Beard (b.1971, Birmingham), Sadie Laska (b.1974, West Virginia) and Boo Saville (b.1980, Norwich). 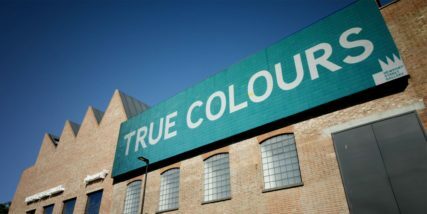 Opening on 6 June 2018, ‘True Colours’ brings together three emerging artists that, despite using paint in very different ways, all share an interest in exploring the possibilities of colour. 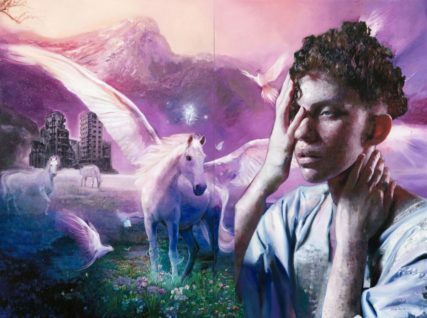 Featuring over fifty works, the show is the largest exhibition to date for each artist. Newport Street Gallery is pleased to present a solo exhibition of work by American artist John Copeland, which coincides with a solo exhibition of work by British artist Rachel Howard and runs until 21st January 2018. Newport Street Gallery is pleased to present a solo exhibition of work by Rachel Howard, which coincides with a solo exhibition of work by American artist John Copeland and runs until 21st January 2018. 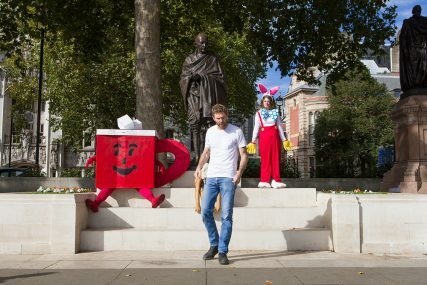 This one-off performance, accompanied by Roger Rabbit, Wile E. Coyote and the Kool-Aid Man, to accompany the exhibition Sweet Liberty culminated at Newport Street Gallery on 5th October 2017. 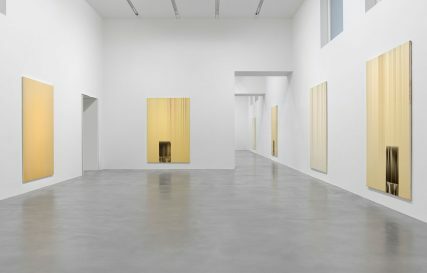 Video of the event which happened at Newport Street gallery on 16 January 2018. 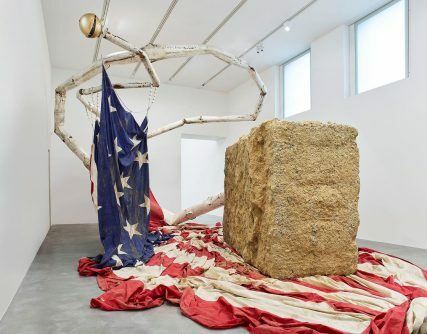 Renowned art curator, historian, and Artistic Director of the Serpentine Galleries, Hans Ulrich Obrist, will be in conversation with American artist Dan Colen on ‘Sweet Liberty’, Colen’s first major solo show in London, which surveys the entirety of the artist’s career to date and also features new paintings and large-scale installations.